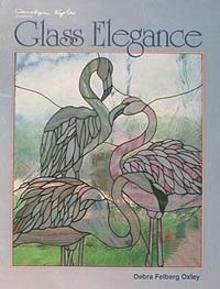 Debra Felberg Oxley's love for stained glass and glass etching began in her childhood. In college, she studied architecture and design, but glasswork has always been her true calling. A premier artist and designer, her award-winning glassworks are featured in beautful homes and well-appointed offices throughout the United States and Canada. 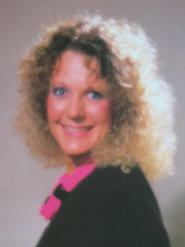 In 1982, Debra opened her first Glass Studio. Today, Debra's studios are in Los Angeles, California. In this follow up to the enormously successful Glass Etching I: Surface Techniques and Designs, Norm Dobbins and Debra Felberg Oxley take the sandblasting student to the next level, exploring the techniques of deep carving, multi-level shading, multi-stage carving and more. Filled with insights from the experts and simple and clear pictures, the book also offers beginners achievable projects. 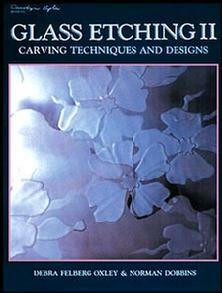 A must-read for anyone looking to increase their sandblasting skills and create sandblasted pieces with more subtlety and nuance. Expert instructors and accomplished artists, Norm Dobbins and Debra Felberg Oxley bring a results-oriented approach to this seminal sanblasting volume. The authors walk you through the process of design, preparation, tools, equpiment, safety and more. 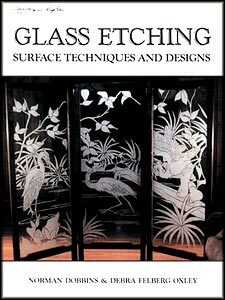 Using the technical information along with the projects and designs presented in the book, any novice will be able to master the basics of sandblasting and create simple and elegant panels. The book is fully illustrated with line drawings and photos. 35 designs for panels, transoms and entries. The floral, garden and nature themes will bring elegance to any home or office. All designs are shown in full color, with many shown in room settings. 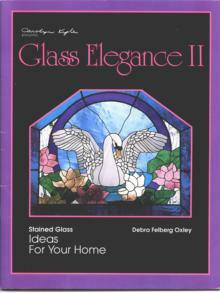 This compilation combines designs from the popular Glass Elegance and Glass Elegance II. 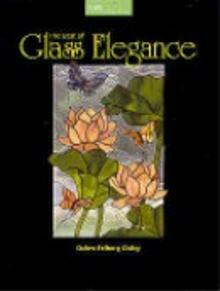 Loaded with exotic stained glass panels, including stately florals, tropical birds, fish and butterflies. Color photos. 24 stained glass window projects featuring exotic birds, flower , fish, landscapes, a carousel horse, etc. Intermediate to advanced designs. 40 pages. 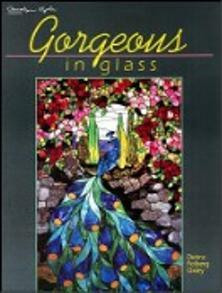 34 stained glass window projects featuring landscapes, fountains, mermaids, exotic birds, tropical fish and more! Some designs feature etched "flash" glass. Color photographs of most projects.